Facebook has unveiled its new android application called the Facebook Home. The Facebook Home is a rethink of Facebook's mobile strategy which seeks to make the Facebook usage more accessible by making it a home screen replacement in the mould of touchwiz, HTC Sense and the likes. 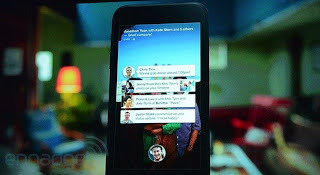 The Facebook Home replaces the traditional launchers with the Facebook news feed over apps which is still accessible by swiping. The Facebook Home app let's one comment or like from the home screen or lockscreen and also the messenger app has been improved with "Chat Head" with pops up on the screen when a message arrives. The chat head is normally a small image of the sender. Tapping on the chat head shows the messenger thread and allows you to respond to the messages with leaving your current app.Swiping down the Chat head to the bottom of the screen dismisses the chat head notification. The Facebook home app will be released to the Play Store by April 12th as a launcher and would only support a few devices such HTC One X , One X +, Samsung Galaxy S III, Galaxy Note II at first. 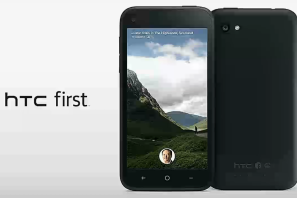 In addition to the Facebook Home app, Facebook also announced the HTC First, the first phone to come with the Facebook Home app preinstalled. The HTC First would sport a 4.3 inch screen, Qualcomm Snapdragon 400 processor with dual-core CPU and 3G/4G world and multimode LTE so you can enjoy the richest content on AT&T’s blazing fast 4G LTE network.